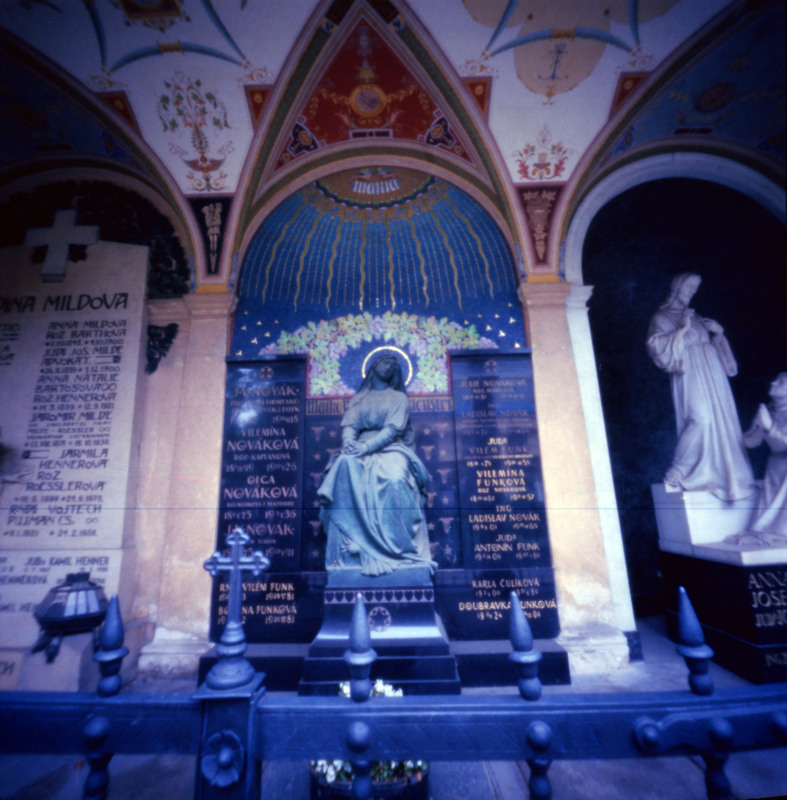 I know it sounds weird but I like to visit cemeteries, and the cemetery of Vyšehrad in Prague (Czech Republic) is one of the most beautiful cemeteries I’ve ever visited. Outside the city center, on the banks of the river Moldau is the Vyšehrad fortress. On its grounds is the cemetery. It is not very big, but quite important for the recent history of Prague. The reason? 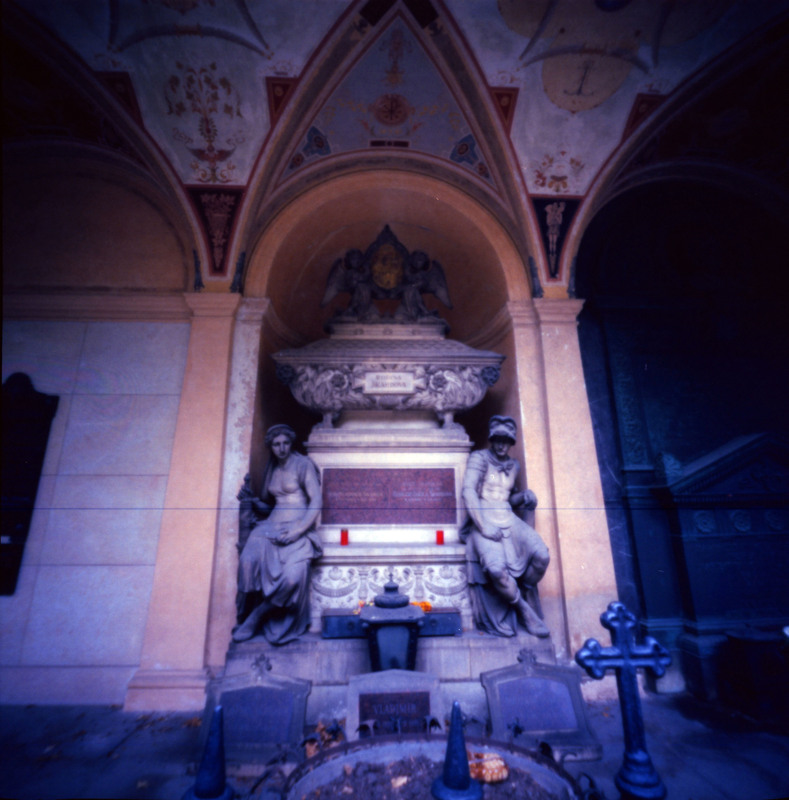 The Slavin, a memorial for a lot of important Czechs who died at the end of the 19th and beginning of the 20th century. Buried there for instance are artist Alfons Mucha, writer Jan Neruda and composer Antonín Dvořák. 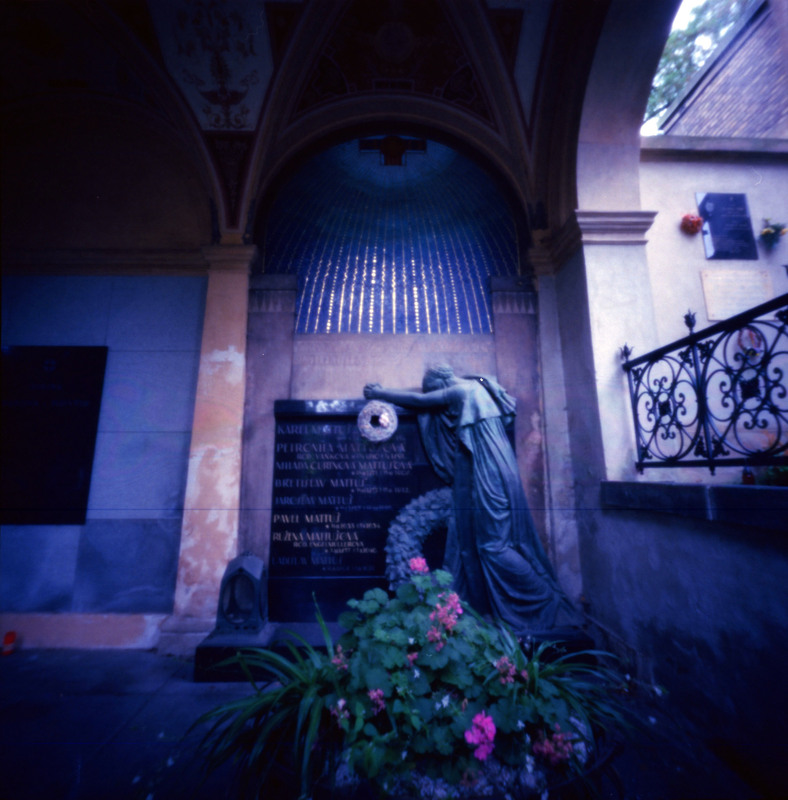 Many gravestones are works of art in Art Nouveau style, with beautiful tiling and large statues. There are many family graves placed against the walls surrounding the cemetery. Next to the cemetery is the Saint Peter and Paul church. It’s a small church, but on the inside completely decorated in Art Nouveau frescos. You can visit the church and see the treasures, such as monstrances, chasubles and other religious artifacts. The rest of the fortress is also worth visiting. You can walk around and see the remains of the fortress itself, enjoy the view of the city and have a drink at the café near the cemetery. From the fortress you can walk back to the city center. Beautiful Inge and certainly a place I will try and find on my upcoming trip. Thanks! If you have the possibility to visit it, you should. And the church next to the cemetery too. These are beautiful, and the colours are amazing! Very good job; I love cemeteries and their quietness; it is a unique atmosphere you only get there! Thanks! I agree, I often visit cemeteries for the peaceful atmosphere.